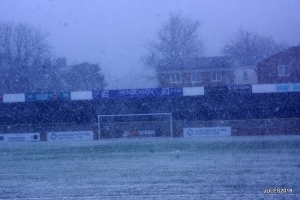 The Rep team’s first semi-final appearance in the competition for 12 years ended in defeat at snowy Harrogate. Home striker Chris Dyson headed over the bar after only two minutes, but Kent had their chances in the first 45 minutes. Riley Alford saw his cross fall across the face of the home goal, while James Trueman saw his effort squirm off the keeper’s gloves for a corner. They fell behind nine minutes after half time when a defensive mix-up left Andy Simpson with the simple chance to score into an empty net. Substitute George Latham put Kent level six minutes later, his third goal in two ties this season, lobbing the home keeper from the edge of the box. Ali Amisu’s header was saved 13 minutes from time and then Adam Phillips nodded Sam Conlon’s corner just wide four minutes from the end, as extra-time beckoned again, following the win over the Essex & Suffolk Border League last month. 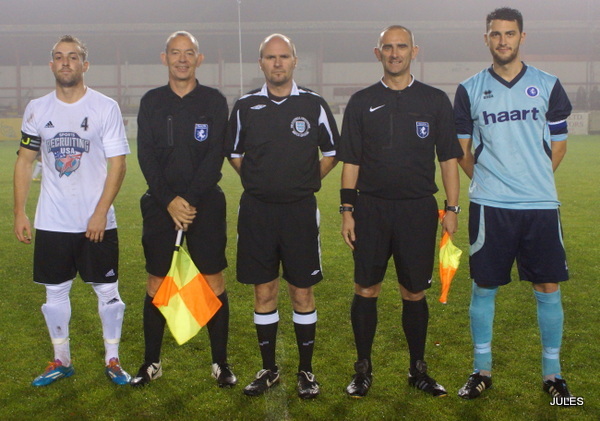 It was York substitute Liam Sanderson who proved the match-winner with a 17-minute hat-trick. Sent on 10 minutes from the end of normal time, he had already seen one shot touched for a corner by Kent keeper Jack Moore three minutes earlier, before breaking the deadlock seven minutes into extra-time. He made it 3-1 two minutes after the break, before completing his treble, curling home a direct free-kick from the edge of the box. 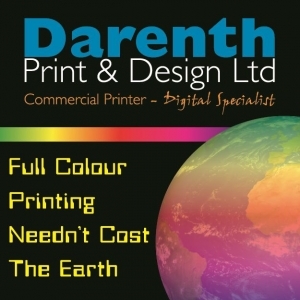 Darren Phillips reflected on the Kent County League’s FA Inter-League Cup semi-final defeat against the York League believing the 4-1 extra-time defeat at Harrogate was the team’s best performance over 90 minutes in the competition this season. Ali Amisu and Adam Phillips both had chances to win the tie – inside the final 15 minutes of normal time, only for home substitute Liam Sanderson’s rapid hat-trick to settle the tie. Rep team manager Phillips said: “The lad came on and made a massive difference. “He had complete pace and the free-kick in the top corner (for the fourth goal) was absolutely brilliant. “The scoreline was irrelevant in the end – and didn’t really reflect the way the game went. 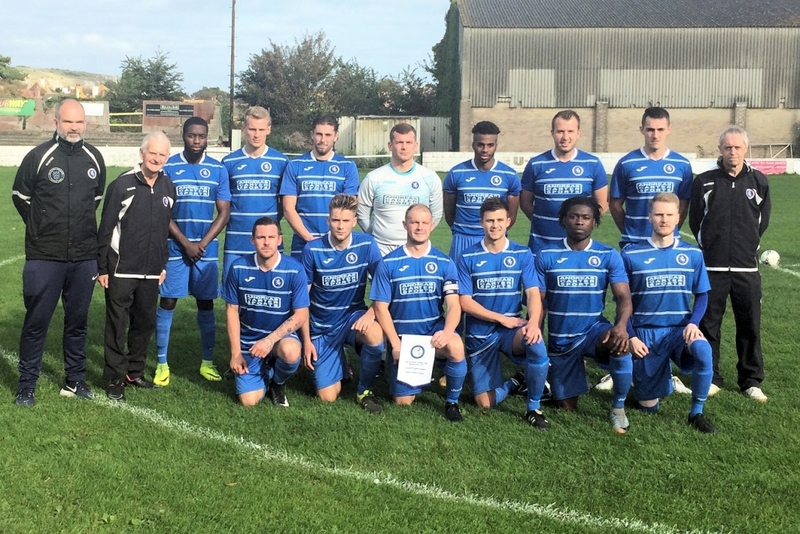 The run to the last four included come from behind wins at Dorset and Jersey, before a penalty shoot-out win over the Essex & Suffolk Border League. Just naming a squad was the hardest part for Phillips ahead of the opening round trip to Dorset. Numerous withdrawals left him with a scratch squad – many meeting for the first time at the pick-up point at Dartford. He said: “The result was a surprise because I was just grateful that the ones who were there wanted to play. “We then won in Jersey, by far the best team we have played, and I think we could have beaten the Essex & Suffolk Border with 10 men in normal time, if we had taken our chances. “We then went to Yorkshire with the strongest squad – at one stage we had 25 players available, and it was hard to pick from, before people started to withdraw due to work etc. The game looks set to be the last in KCL representative football for long serving Otford United midfielder Jamie Knight. Phillips said: “Jamie reckons it’s probably him done, and wants to know how many games he has played. “I think he has been nearly every squad I have picked in my time in charge, which must be in the mid-20s,if not more, but the next competition isn’t likely to start until October/November 2019. Phillips admitted it was tough on Knight’s Otford team-mates Rory Catt and Sam Truman who missed out on playing a part in the game against Yorkshire. “Not everybody can play, but it’s all part of being a member of the squad, “ Phillips added. As for coach Jack Deans he will continue scouting games for the rest of the season looking for the next crop of players to earn representative honours. Team: Jack Moore (Welling Town), Mark Howells (Kennington), James Trueman (Greenways), Adam Phillips (Kennington), Ryan Perkin (Greenways), Joe Fisher (Kennington), Tom Scorer (Kennington), Sam Conlon ( Kennington), Riley Alford( Deal Sports), Ali Amisu (Peckham Town), Lemarl Hubbard (Welling Town). Subs: George Latham (Borden Village) – replaced Lemarl Hubbard, Matt Hadlum (Kennington) replaced Joe Fisher, Jamie Knight (Otford United) replaced Riley Alford. Subs (not used): Rory Catt, Sam Truman (Otford United). The Rep teams’s journey in the FA Inter-League Cup continues, our third away trip, third time we go a goal behind and our third win sees the team secure a semi-final place! The first half was evenly contested with neither side taking control and with few clear cut chances being created the score was 0-0 at the break. Just 5 minutes into the second half the home team took the lead, a through ball put Lawrence Hale through and he slotted confidently into the bottom corner. Just 5 minutes later things appeared to get a lot worse for the KCL team when keeper Justin Lee came out of his area and handled the ball seeing him receive a straight red card. This caused a major re-organisation, as with no substitute keeper Dale Davis took over the gloves, at the same time the team decided to take the tie to their opponents and dominated the remainder of the half. The ESBL relied mainly to long balls for their speedy forwards with most dealt with comfortably by Davis. The KCL did have some good fortune when a rare time the ESBL did get into the box the ball firmly struck the post with the rebound being blazed over the bar. The 10 men from Kent continued to dominate the game and their efforts were rewarded in time added on when following some neat passing, substitute Joe Fisher fired across the keeper into the right hand corner. 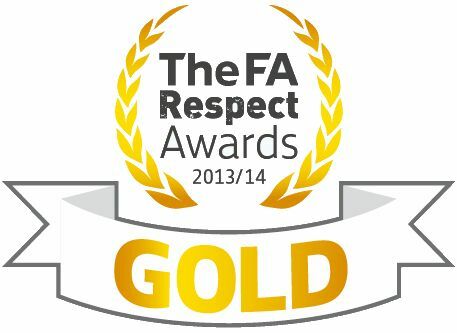 Following the goal team numbers were evened up when an ESBL player received a red card for an off the ball incident. The KCL team remained on the front foot throughout extra time but neither side could add to the score so the game finished 1-1 and penalties would decide the game. Replacement keeper Dale Davis stepped up to the plate saving two of the ESBL kicks before Ali Amisu confidently scored his penalty to secure the 4-3 win a very hard fought match. In the Semi-Final the KCL team will travel again having been drawn away to the York Football League on a date to be arranged. Team: 1. Justin Lee (Otford United); 2. Ross Penrose (Greenways); 3. 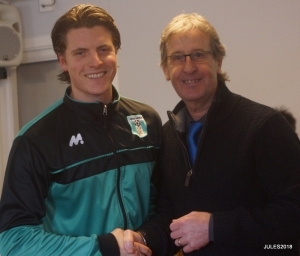 Jamie Knight (C) (Otford United); 4. Dale Davis (Kennington); 5. Sam Trueman (Otford United); 6. Adam Phillips (Kennington); 7. Rory Catt (Otford United); 8. Ryan Perkin (Greenways); 9. George Latham (Borden Village); 10. Ali Amisu (Peckham Town); 11. Tom Scorer (Kennington). Subs: 12. Jake Jess (Deal Sports); 14. Riley Alford (Deal Sports); 15. Joe Fisher (Kennington); 17. James Trueman (Greenways). 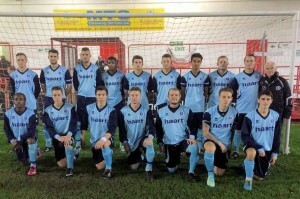 The second round of the FA Inter League Cup took place on Saturday, 16th December when the Kent County League team travelled to St. Helier to take on the Jersey Combination League. And we won! An Amazing 3-1 win – with goals from George Latham (2) and substitute, Daniel Hanshaw. 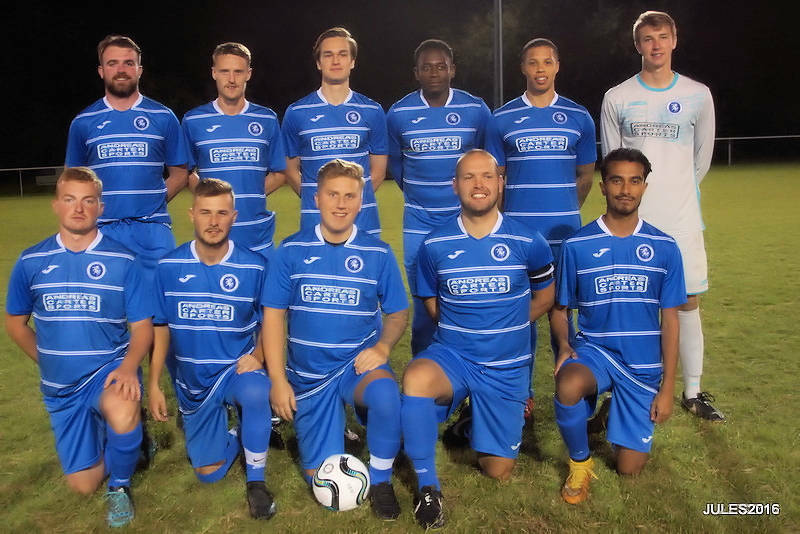 Justin Lee (Otford United FC); Rory Catt (Otford Unite FC); Sam Truman (Otford United FC); James Knight (Otford United FC); Andrew Knight (Otford United FC); Ali Amisu (Peckham Town FC); Harry Yates (Kennington FC); Ross Penrose (Greenways FC); James Trueman (Greenways FC); Ryan Perkin (Greenways FC); George Latham (Borden Village FC); Daniel Hanshaw (Cuxton 91 FC); Matthew Gething (Cuxton 91 FC); Dean Whittingham (Rochester City FC). Two goal Kenneth Llo and Ali Amisu grabbed the scoring honours but the Kent County League’s 3-2 FA Inter League Cup First Round win over the Dorset Premier League at Swanage on Saturday was a great team effort. Trailing 2-1 at half time, the Peckham Town pair, Llo and Amisu, completed the impressive second half comeback and earn the representative side a trip to Jersey. 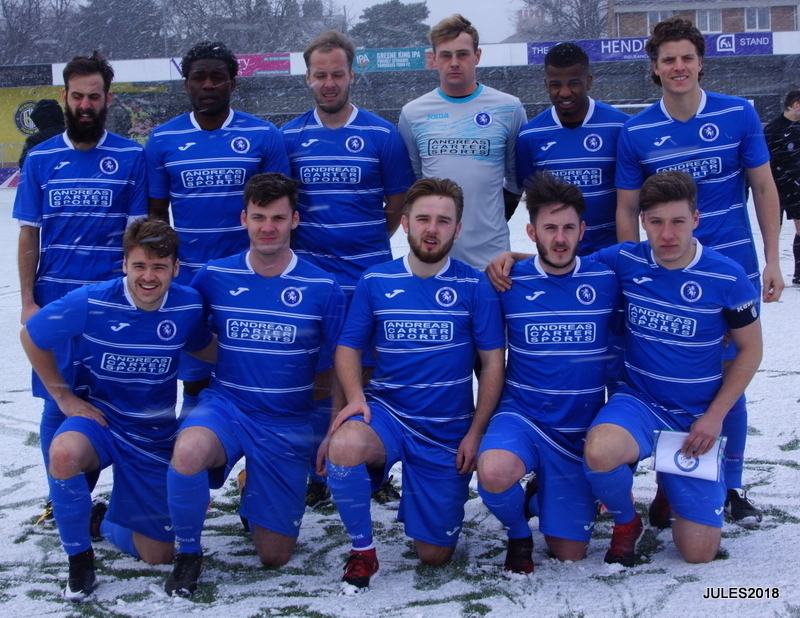 A week spent assembling a squad following a succession of call-offs, resulted in travelling West with only 13 players, five from Otford United and three more from Rochester City, meeting up with the rest at Dartford FC on Saturday morning. Manager Darren Phillips said it was the best result in his four year tenure in the job. “I was very proud of everyone involved. we didn’t have time to work on tactics, it was all about doing the basics right, hard work and who wanted it more. One of the League’s proudest moments in recent times was finishing group runners-up behind eventual winners Czech Republic in the third staging of the UEFA Regions Cup in Estonia in 2002. 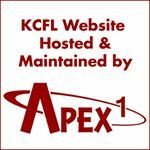 Kent had the best of the chances early on through skipper Jamie Knight (twice) and Otford United team-mate Rory Catt, denied by a fine save from home keeper Sam Watts, only to then fall behind. Josh Payne fired Dorset in front after 21 minutes following a swift break down the right. Kent were level within 10 minutes, following Llo’s run into the box, and great footwork before tucking the ball inside near post. Parity didn’t last long – Payne firing home Dorset’s second with almost a carbon copy finish three minutes before half-time. Catt was foiled again by Watts past the hour mark, then Dorset’s Nathan Saxby slid one effort wide, and Lee Gale missed a sitter. Amisu headed Kent level following a corner, before Llo tucked away the winner to cap an impressive comeback in the warm October sunshine. Knight was the only survivor from the team that lost when the two sides met in the same competition four years ago. 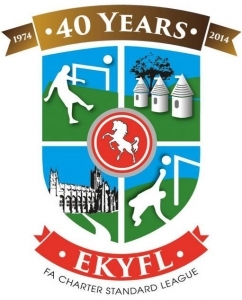 The League Rep side are in action again next month when they meet the Essex Olympian League at Aveley. Tom Gibbons’ stoppage-time goal proved only consolation as the Kent County League Rep Xl made an early exit from the FA Inter- League Cup. Gibbons headed in Aaron Kleman’s free-kick just before the end as Kent bowed it beaten 2-1 by the Spartan South Midlands League at Chatham. “Disappointed and frustrated” was manager Darren Phillips’ reaction immediately after the tie at Maidstone Road at the end of a long day which had seen him battle against numerous late call- offs. Kent made a disappointing start, going a goal down after only three minutes when Nathan Graham knocked in a free-kick from close-range, only to injure himself in the process. He carried on after treatment, but was hurt again midway through the half, and looking very unsteady on his feet was replaced. Defender Rob Quick then headed Aaron Kleman’s corner wide four minutes later. Kent made two changes at half-time with Kerran Boylan and Mickey Smith replacing Billy Shinners and Arun Surman. Boylan created problems on the hour forcing visiting goalkeeper Ashley Jenkins to race off his line. However SSML made sure if victory six minutes from time – following a quick break from a Kent corner with Aston Goss beating James Bradley inside his near post. Gibbons’ late goal came too late to make any difference as Kent bowed out. Meanwhile SSML benefited from fielding a side representing member club Hale Leys and their organisation and understanding proved crucial – as the visitors scored their first ever goal and first win in the competition. Kent: James Bradley (Stansfeld O&B Club), Rob Quick (Metrogas), Nick White ( University of Kent), Callum Hill (Otford United), Rikki Holmes (Greenways), Tom Gibbons (Metrogas), Arun Surman (Guru Nanak) replaced by Mickey Smith (46mins), George Hayes (Tenterden Town) replaced by Tommy Vine (Guru Nanak) (60mins), Billy Shinners (Stansfeld O&B Club) replaced by Kerran Boylan (Holland Sports) (46 mins). Aaron Kleman (Greenways), Jamie Knight (Otford United). 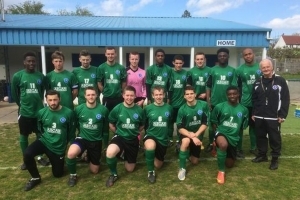 Darren Phillips says home advantage will be a major factor when the Kent County League Rep side begin their FA Inter-League campaign against Spartans South Midlands League at Chatham on Wednesday March 11. The Kent manager this week named three squads for forthcoming matches beginning with the tie against SSML. 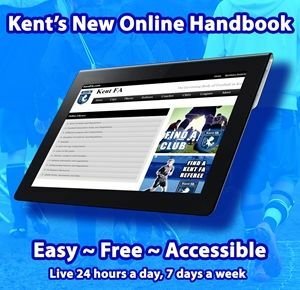 Kent then face the Essex Olympian League at Hornchurch on Tuesday March 24, before a combined rep team made up of players from the Kent County League and NRG Gym U21 Development Division take on the Essex Olympian League U21’s at Herne Bay on Saturday April 25. Kent County NRG Gyms u21 Rep Team Squad vs Essex U21’s: Matt Blendell – Greenwich Borough U21, Ross Phillips – Greenwich Borough U21, Ennis Fyffe – Greenwich Borough U21, Arun Suman – Guru Nanak (Captain), Steadman Callender – Phoenix Sports U21, Steven Murray – Herne Bay U21, Conor Partridge – Herne Bay U21, Newman Poku – Herne Bay U21, Connor Charlton – Soccer Elite, Ellis Iandolo – Soccer Elite, Jack Miles – Sevenoaks Town U21, Nick White – UniVERSITY of Kent, Thomas Bell – Fleetdown United, Christie Pattison – Cray Wanderers Youth U21. A very entertaining fixture in difficult weather conditions saw both teams share nine goals. The Kent County League gave debuts to 11 players. A bright start saw our opponents take an early 2-0 lead which was then extended to 3-0 after thirty minutes. The fight back began with two excellent goals from exciting forwards Steadman Callender and Lamarl Hubbard. We created plenty of opportunities in the first half but failed to convert but gave ourselves a chance to get back into the game against our lively opponents made up from players from the South of England, one of which traveled from Cornwall. The second half started better, five substitutions were made and we gained control for the first 15 minutes until a long back pass was cut out only for the Sports Recruitment USA forward to slot home for 4-2! More Kent pressure led to more chances and two goals in five minutes from Jonny Murray who showed excellent skills to round the keeper and two defenders to score made it 4-3. George Hayes completed the come back with a excellent dipping volley from the edge of the box on 80 minutes to level the score at 4-4. Only for the visitors to break away from one of our many late corner to score the winner with three minutes left! 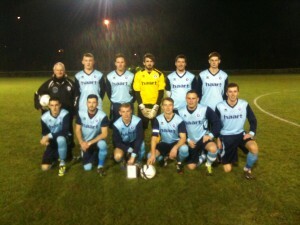 An excellent worthwhile evening giving us more options going forward into the Essex match and FA Inter League Cup. 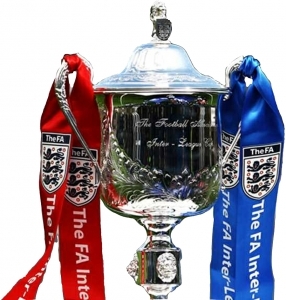 A goal seven minutes into stoppage-time by Alan Linaker knocked the haart of Kent County League out of the FA Inter-League Cup at Chatham on Saturday. 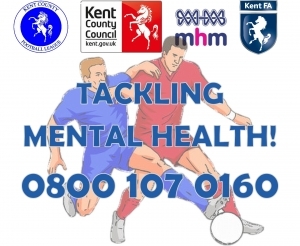 The game looked set to go to extra time when Kent defender Dan Mitchell conceded a free- kick on the edge of the box. Dorset midfielder Alan Hallloran, who moments earlier had hobbled back onto the pitch after lengthy treatment, curled his set-piece against the crossbar and Linaker touched in the rebound to win the second round tie at windy Maidstone Road. Seconds later Essex referee Stephen Moore blew the final whistle, earning Dorset a home quarter final against the holders Jersey FA. Phillips pointed to only two real chances in the game – Carlum Macleod’s first half effort being tipped onto the bar, while Aaron Kleman saw his near post strike pushed away by goalkeeper Simon Bleasdon after nutmegging a defender on the edge of the box. Kent goalkeeper James Bradley pawed an early effort off his line, as Dorset went close, then Ashley Smith dragged another effort wide. The visitors created three good chances in the space of six minutes, before Klemen shot wide after good build-up involving substitute Steve Adhmore and Macleod, before the latter was replaced by Daniel Bradshaw. Kent survived another scare late on as the ball seemed to hit bar and post, before Linaker pounced to settle the contest. 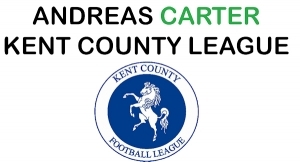 Kent County League: James Bradley, James Wade, Rob Jeffrey, Dan Miitchell, John Ralph, Jamie Knight (Sean O’Sullivan 46 mins), Callum Hill, Tom Forster, Chris Rowley (Steve Ashmore 46mins), Aaron Kleman, Carlum Macleod (Dan Bradshaw 71mins). Subs not used: Harry Yates, Ben Smart. 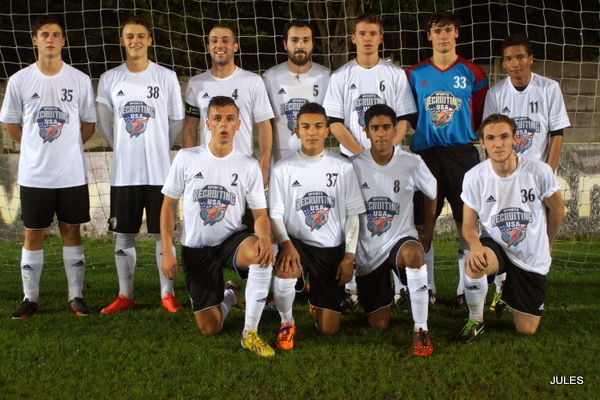 Aaron Klemen scored the pick of the goals as the haart of Kent County League beat the Essex Olympian Lesgue 3-1 in a friendly at Rochester United on Wednesday night. The Greenways striker produced a perfect finish eight minutes from time to get Kent’s third, shooting home from 25-yards to settle the contest. Essex started the game two players short and suffered another early blow when striker Gavin Cockman was forced off and taken to hospital with a suspected broken right ankle. Sheppey and Sheerness defender John Ralph headed Kent in front after six minutes, but Essex goalkeeper Richard Insole produced several good saves to deny the home side a bigger advantage. Essex pulled level 14 minutes into the second half when John Wightman scored from the spot, after he was brought down by Ralph’s clubmate Ben Smart. Substitute James Wade restored Kent’s lead converting a left wing cross by Tudor Sports left back Daniel Bennett. 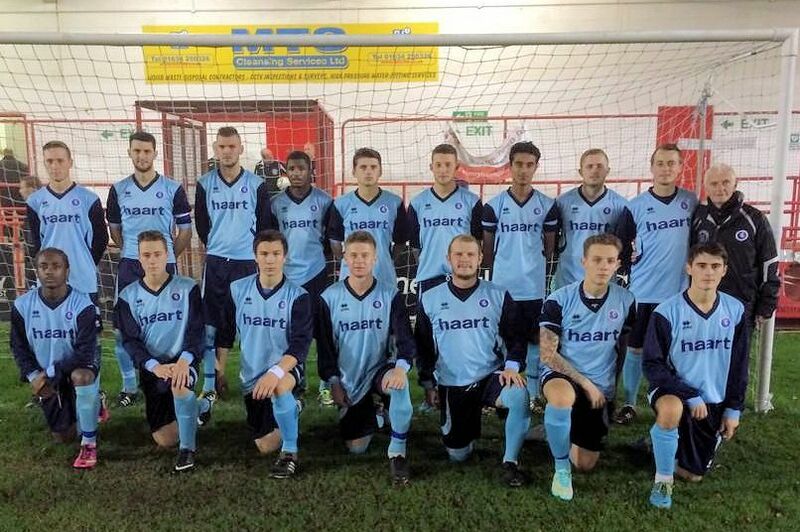 Super-sub Carlum Macleod came off the bench to score twice and win a penalty as the haart of Kent County League Rep side came from 4-2 down to beat the Southern Amateur League 6-5 after-extra-time to reach the second round of the FA Inter-League Cup at Uxbridge on Saturday. The victory, hailed by KCL officials as their best ever in representative football, looked unlikely when the SAL scored three times in 15 minutes to come from 2-1 down in the second half. Michael Classen (50 min) curled home from 20-yards, Alan Taylor (58 min) made it 3-2 following a poor clearance by Bradley, and David Breeze (65 min) added the fourth after Peter Eguae laid the ball back from the byline. However Kennington striker Macleod and fellow-sub Steve Ashmore of Hildenborough Athletic, introduced in a double-change on the hour, netted twice in three minutes to make it 4-4. with 10 minutes left in normal time. Macleod (77 min) knocked in Gorman’s cross, and then Ashmore converted Nick Donaldson’s set-up. A last-ditch tackle denied Macleod a possible winner with two minutes left, then KCL goalkeeper James Bradley’s brave injury-time block stopped his side conceding a late winner. The Stansfeld stopper was injured in the process -and forced to limp through extra-time. 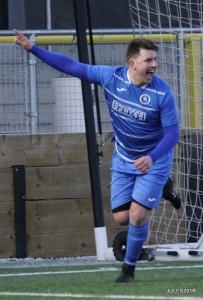 However it didn’t stop him from playing a big part in setting up the County League’s fifth in the 104th minute – route one stuff – Macleod gambling on Bradley’s long punt downfield – before flicking the ball over the on-rushing SAL keeper Russell Hodges. Macleod was involved again two minutes after half-time. A pacy run into the area ended when he was tripped by a defender and Stansfeld’s Chris Rowley stepped up to convert the penalty. Metrogas defender Tom Gibbons then had to leave the field for treatment after a blow underneath his left eye. However he was back on the field when SAL got their fifth, substitute Chevaun Kerr knocking the ball in following a corner with five minutes left. The 11th goal of the tie set-up an exciting finale, with the final whistle completing a fine win for manager Darren Phillips and his players. Nobody could have predicted the goal fest at half-time with the score 1-1. Bradley made a brave block at one end, before Gary Gorman put KCL ahead after 14 minutes, only for Breeze to slide home the equaliser on the half hour with an angled finish. KCL: James Bradley (Stansfeld O&B Club), Russell Jeffrey (Greenways), Jamie Knight (Otford United), Tom Forster (Metrogas), Dan Mitchell (Staplehurst Monarchs United), Tom Gibbons (Metrogas), Callum Hill (Otford United), Nick Donaldson (Greenways), Gary Gorman (Metrogas), Chris Rowley (Metrogas), Aaron Kleman (Greenways). Subs: Steve Ashmore ( Hildenborough Athletic replaced Callum Hill (60 mins), Carlum Macleod (Kennington) replaced Aaron Klemen (60 mins), Danny Beszant (Bexley Borough) replaced Tom Forster (63mins) Subs (not used): Josh Hornby (Greenways), Jamie Leggett ( Bexley Borough). 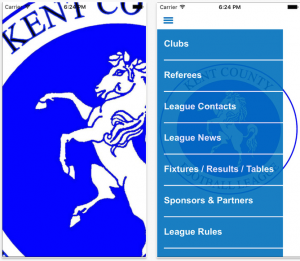 Darren Phillips was delighted to see his Kent County Rep side progress in the FA Inter-League Cup with a 6-5 win over the Southern Amateur League at Uxbridge on Saturday. Two friendlies and one training session was all the preparation Phillips had with his squad – his plans further complicated by several withdrawals due to injuries. Phillips said “It is great to carry on in the competition, if could have been over on Saturday- leaving only three friendlies to be played between now and the end of the season. It was great to see the boys come back from 4-2 down because it would have been easy for them to go through the motions in the last 20 minutes. We got the two goals to get back to 4-4 and went on from there”. He added: “It’s almost impossible to coach tactics and formations, because we don’t see them until a week before the game. It was down to hard work and a big of quality in front of goal – the four strikers scored five of the six goals, so that was very pleasing. Two of the substitutes came on and scored. I said to them in the dressing room, being on the bench doesn’t mean they wouldn’t be able to have an impact on the game. Danny Beszant came on and changed the game with his passing in midfield, spraying it around, we probably gave the ball away too easily in the first half. Carlum could have started quite easily, but he wasn’t available for training at Dartford last week, and he didn’t play in two friendlies because of travel problems.